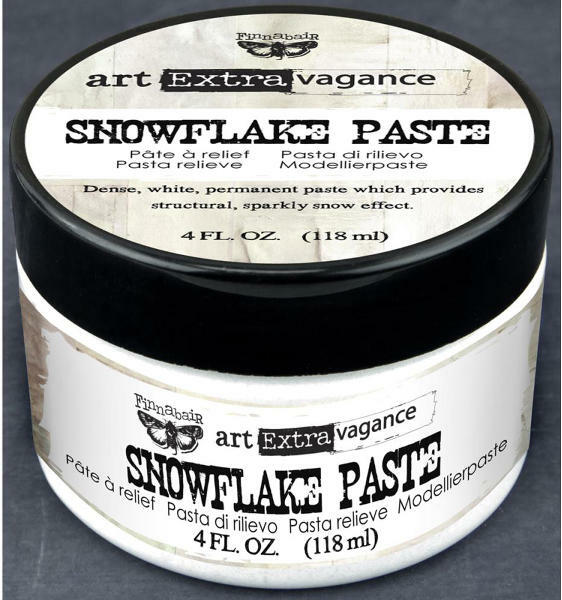 This addition to the Art Extravagance collection is perfect for holiday projects or seasonal mixed media. This dimensional paste has a bit of sparkle in it's snowy white finish for an extra special effect. Use it with other Finnabair mediums for great dimension and effects. Dense, white, permanent paste.